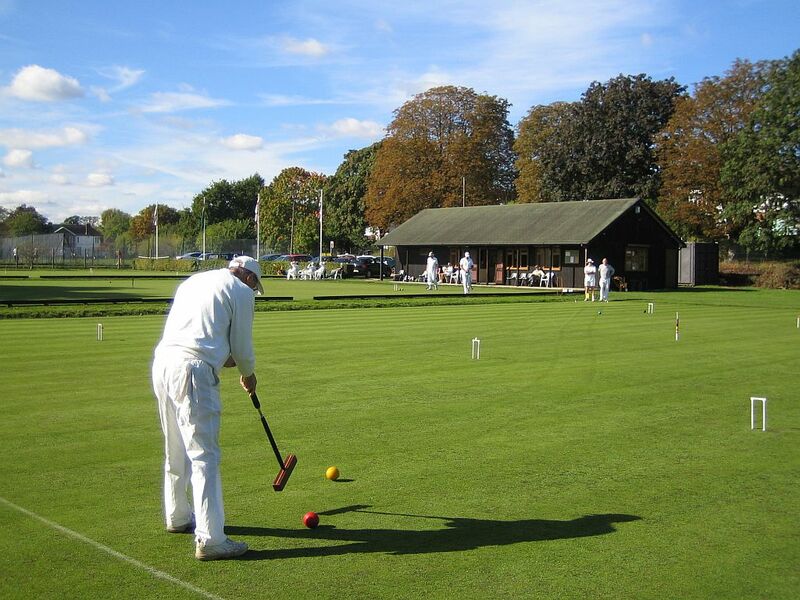 The Longman Cup is a national inter-club croquet tournament that is run each year in England and Wales. Club teams comprise 4 players who must each have handicaps between 3.5 and 20, and with their aggregate handicap being at least 24. 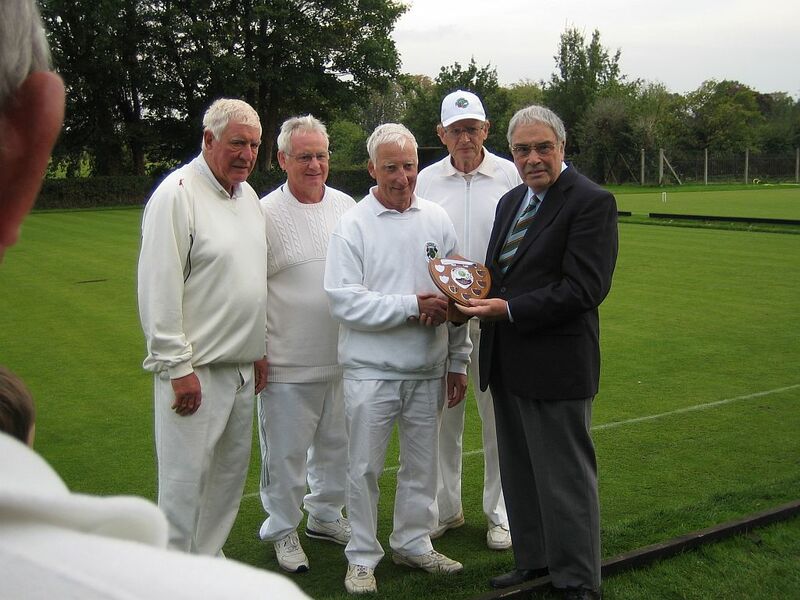 It is a knock-out competition within each region, played with handicaps, with the regional winners progressing to the national semi-finals and final at the end of the season. 2011: we lost in the second round to Guildford & Goldalming. 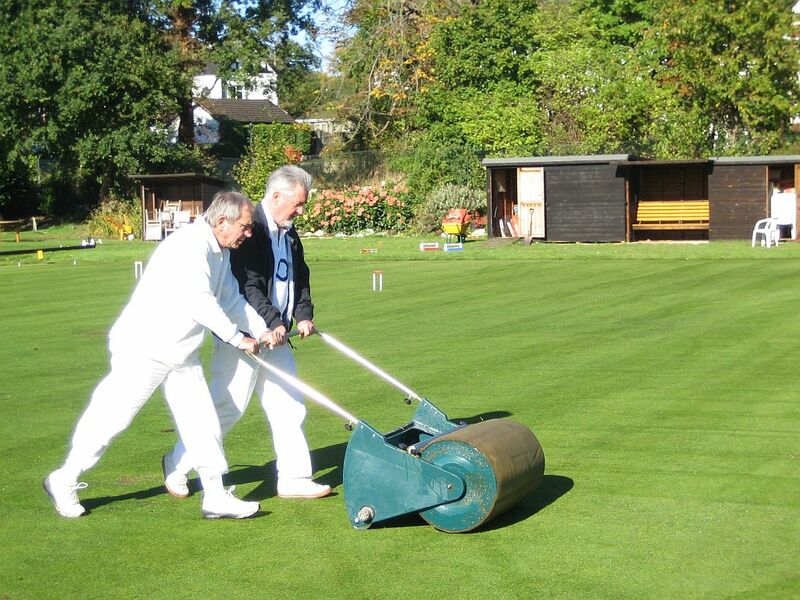 2010: we reached the regional finals, losing to Parsons Green. 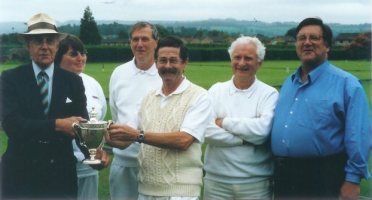 2009: we lost in the second round to Wrest Park. This year Watford reached the national Semi-Finals and Final, which were played at Surbiton over the weekend of 6th-7th October. 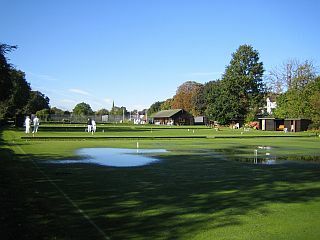 The teams arrived at Surbiton on the morning of Saturday 6th to find that the club had just had 2 inches of rain overnight, and most of the courts were waterlogged. But the skies were sunny and there was some prospect of play later in the day. However, it was decided that only four of Surbiton's seven courts could be made playable that day, and these had to be shared with the final of the Mary Rose competition. So the other Longman Cup semi-final between Northampton and Roehampton was relocated to Roehampton, and after a lot of strenuous effort to clear surface water from the Surbiton courts, Watford's semi-final against Chester was finally started at noon, though still with quite a lot of squelching underfoot. In view of the reduced time available and sunset due at 6:30pm it was agreed that the games would be reduced to 18 points with a 2½ hour time-limit. The contest was very closely fought all day, with three games being won or lost by one point on time, and another by two points on time. As the evening shadows lengthened and the final time-limits approached Watford had reached a 3-1 advantage and needed just one more win to secure the match, but we were behind in all three remaining singles games. The prospects did not look good. Finally, after a rather disappointing morning session, Peter Chadwick hit a good patch and made it to peg-and-peg with about 10 minutes left on the clock. But he had no more bisques, and was up against a significantly stronger player with only 3 hoops left to make. Then his opponent hit in with his all-or-nothing last shot when Peter was lined up for the peg-out. Tense finale! But with only a couple of minutes left and his opponent now for peg and rover, when all seemed lost for Peter his opponent played the wrong ball! With the innings gifted back, Peter was unable to complete the peg-out in the remaining time, but managed to hang on to the innings for a +1 win as the time expired. Game and match to Watford. Unaware of all this drama on the adjacent court - and under the impression that Peter had lost - Geoff Johnson and John Bee were both also immersed in close timed finishes. John was unable to reduce his early deficit enough, and lost -2 on time, but Geoff had managed to claw his way back from his early deficit to level the game as the time-limit was reached. 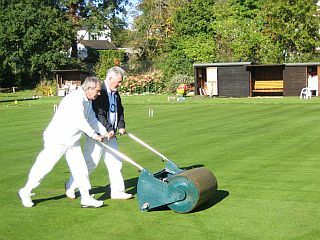 In the ensuing sudden-death finish, Geoff had the innings and a short rush to penult, while his opponent - also for penult - was separated near corners I and IV. But his opponent, having recently missed several medium-length roquets in a row, chose that moment to hit the cross-court 25-yarder to get the innings back, and a straightforward golden hoop to deliver a -1(T) loss to Watford (and an increase in handicap from 7 to 8 for Geoff for Sunday's final). Long faces from John and Geoff, until they found out to their surprise that Watford had still managed to win the match after all! The Watford team arrived back at Surbiton on the Sunday morning to find that, apart from a heavy morning dew, the courts were now dry, and that their opponents in the final would be Roehampton, having beaten Northampton on the previous day. 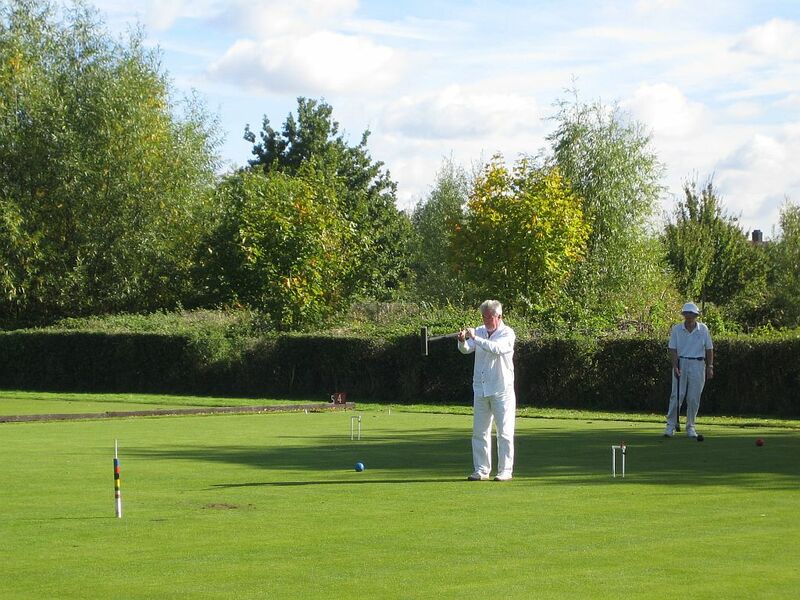 The morning session saw steady progress by John Smallbone and Peter Chadwick in the doubles, while Geoff Johnson struggled against a cautious opponent with a significantly higher handicap. As the time-limits approached John managed to secure a winning lead in the doubles. Meanwhile Robin Barry nearly caught up with his opponent in one of the singles, but forgot to use his last bisque before the time-limit and ended up losing -1 on time; and Geoff's deficit also turned out to be too large to remove in the allotted time after his opponents' stack of bisques had been used up. So Watford found themselves 1-2 down at lunch, and therefore needed at least 3 wins out of the remaining 4 games. In the afternoon singles John was in top form and, playing against an opponent with the same handicap, achieved a decisive +26 win. Match score now 2-2. But the other three games were all closely contested, and all went to the full 3½-hour time-limit. Geoff once again had problems against an opponent who seemed to hit everything. But Peter managed to get a few hoops ahead of his opponent and then keep his nose in front. In the fourth game Robin had only managed to get one of his balls round to peg with the other still languishing on hoop 3 by the time his opponent had reached peg and peg. As the remaining minutes disappeared it became evident that Geoff would lose and Peter would win, both on time. Then with his last turn of the game as time expired, Robin managed to pick up a 3-ball break with his backward ball. Needing a difficult break of 10 hoops to level the score it was rather a tall order, and unfortunately it proved too tall for Robin when he broke down at hoop 6. Final result: 3-4, with the match and championship therefore going to Roehampton, and second place to Watford. Better luck next time!